Nevada: We have been working with a team in Nevada for 10 years to try to get a Choose Life plate there. They had to apply to get their name on a list and the state only granted a few plates every year. 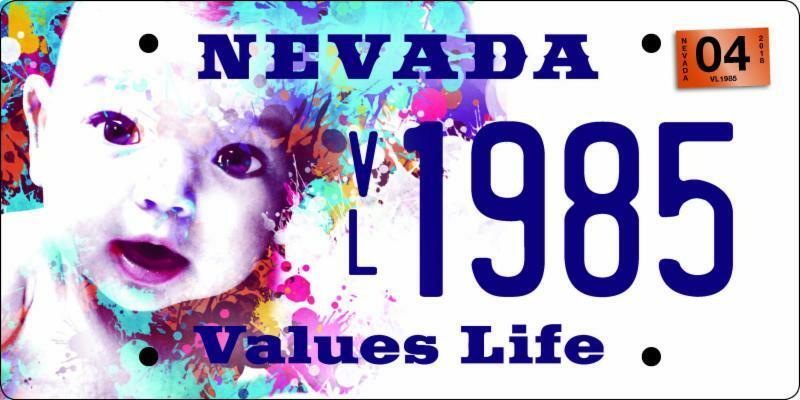 Their name finally came up, but in the lengthy interim, the team re-designed the plate to "Nevada Values Life." 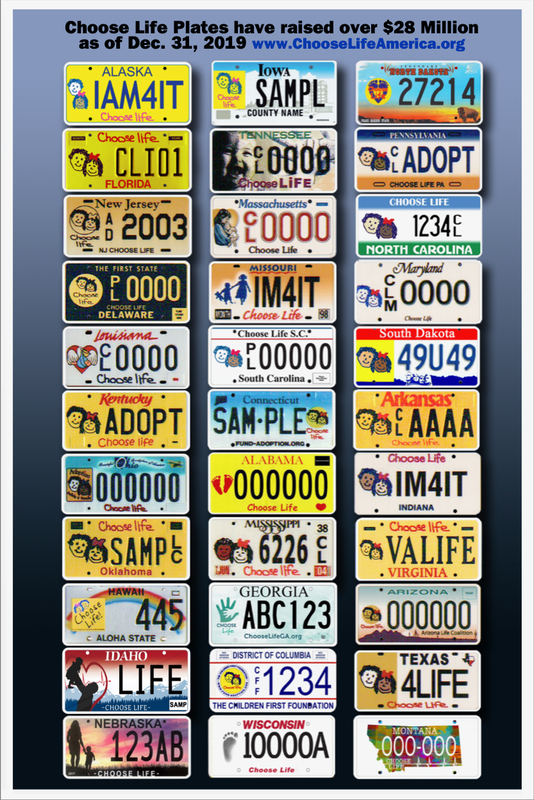 This is not a Choose Life plate, but it is pro-life and it was certainly motivated by the national Choose Life license plate effort. The plate is currently available, but they must sell 3.000 plates to keep it on the road. To learn more about the Nevada plate and how you can help, CLICK HERE.